Dabbing is one of the newest and most popular cannabis consumption methods. Some cannabis enthusiasts are excited by the benefits of consuming the large amounts of THC contained in dabs while others are turned off by that same trait. If dabbing is something you want to try, then using a carb cap can make it a much more enjoyable experience. Dabbing works by heating the nail to extremely high heat before placing a piece of dab on it and inhaling the vapor. Without a carb cap, the dab is out in the open. It is placed on the super-heated nail but is still exposed to the temperature of the air. This means that the part of the dab that first touches the nail is exposed to more heat than the top layer of the dab and the result is a harsher taste and increased irritation when inhaling. The carb cap works like a small dome. It creates an air restriction that lowers the air pressure in the cap. This makes it possible to dab at a lower temperature than you would if the concentrate was exposed to the air. Also, the decreased pressure causes the concentrate to interact with the heat in a way that naturally cools the vapour. The end-product is a more enjoyable and flavourful smoke. Why Doesn’t Your Bong Use A Carb Cap? It has a carb hole built into the bong itself. It comes equipped with a glass-on-glass bowl and slider. With a built-in carb, you place your finger over the hole while you apply the flame. This stops the smoke from leaking out of the bong. It basically creates a vacuum so that the smoke won’t move. Once you’re ready, remove your finger and inhale. When you do so, you’ll open the closed system and pull fresh air in through the carb hole. This makes it easier to inhale all that delicious smoke. With a removable bowl and slide, you apply the heat to create the smoke and then remove the bowl from the bong as you inhale so that fresh air can travel in. Without a carb hole or a removable bowl, it would take a lot of effort to get all the smoke out of the chamber because you’re trying to transfer air from one closed system to another (the bong to your lungs). And who wants to have to work that hard to get stoned? Why Should You Use A Carb Cap On Your Dab Rig? A carb cap concentrates the airflow around the nail and reduces the combustion temperature. This preserves as many of the cannabinoids and terpenes as possible and creates a stronger hit. All of that happens faster than it would if you didn’t use a carb cap. That makes the whole process of dabbing easier. It is possible to have a decent dab hit without a carb cap, but this won’t give you the ultimate experience. Why Is Temperature Important For Dabbing? Temperature is a crucial variable when you’re dabbing. The cannabinoids and terpenes all vaporize at different temperatures. Too high and a good portion of those compounds will be destroyed. This will weaken the strength of your hit and alters the taste of the dab. Most first-time dabbers will burn their nail until its red-hot. This will push the temperature up toward 450 degrees Celsius or more! This is way too hot for anything good to occur. The optimum dabbing temperature is 180-220 degrees Celsius. Once you drop below 120 degrees Celsius your wax won’t vaporize and you’ll be left with a sticky mess on your nail. A carb cap helps to maintain that optimum temperature so the heat has a chance to vaporize all the concentrate. It does this by capturing vapour as it melts off the nail, increasing the pressure under the dome, and creating a microclimate around the head of the dab rig. This preserves the ideal temperature for a few seconds longer. That makes everything more efficient, increases the strength of your hit, and improves the enjoyment you experience from just one hit. Using a carb cap is well worth it. How Do I Use a Carb Cap? 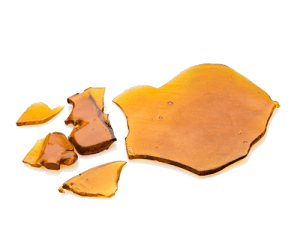 Scoop out a pea-sized dab of wax or break off a small piece of shatter and apply it to the hot nail. Place the carb cap over the nail to trap the heat and alter the air pressure. There are many ways to modify the environment under the carb cap. You can tap the carb cap to create a bit of turbulence under the dome. You can lift the carb cap up and down to stoke the heat and pressure around the nail. Some carb caps that are used for banger nails have a small nub on the bottom that swirls the smoke when the carb cap is spun. This creates a type of air stream that spreads the oil around the hot surface and creates more vapour. When you’re ready to get all the good stuff out of your dab rig, remove the carb cap, inhale, and enjoy. Chances are, there’s still some wax left on the nail. And unless you have huge lungs, you generally won’t be able to inhale all of it away in one go. Place the carb cap over the nail again, give it a good shake, remove the lid, and take another hit. It won’t be as good as the first, but even a little is better than nothing. 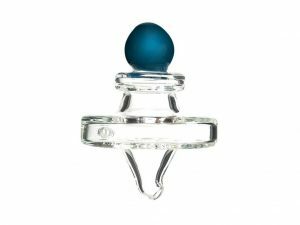 What Should You Look For In A Carb Cap? The most common carb caps are made out of either glass or titanium. Titanium carb caps are pretty basic and are just a dome and a handle/dab tool. Glass carb caps are like other glass grass products and are usually a bit fancier. You’ll see shapes and a rainbow of colors. Neither of those factors will affect your experience, so don’t be afraid to choose the one you really like. If you choose a titanium carb cap, be sure to get one made out of grade 2 or 3 titanium. If you choose a glass carb cap, be sure to get one made out of high-quality borosilicate. As we said earlier, carb caps come in all shapes and sizes. For best results, match the size of your carb cap with the size of your nail. If you get the wrong size, the airflow to the dab surface will be less than ideal and you’ll lose a lot of your concentrate. The overall shape of your carb cap doesn’t really matter as long as it matches the nail type on your dab rig. If you use a honey hole or a banger nail rather than the standard dab nail, you’ll want to make sure the carb cap fits properly. A regular carb cap won’t work with a banger nail, and a banger nail carb cap won’t work with a regular dab nail. So choose wisely and if you need any advice please feel free to contact us or leave a comment below. 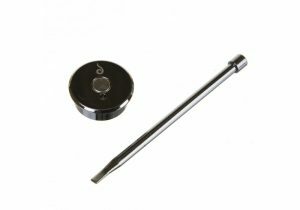 See our personal 420Store Titanium Carb Cap. ← What is an Ash Catcher?